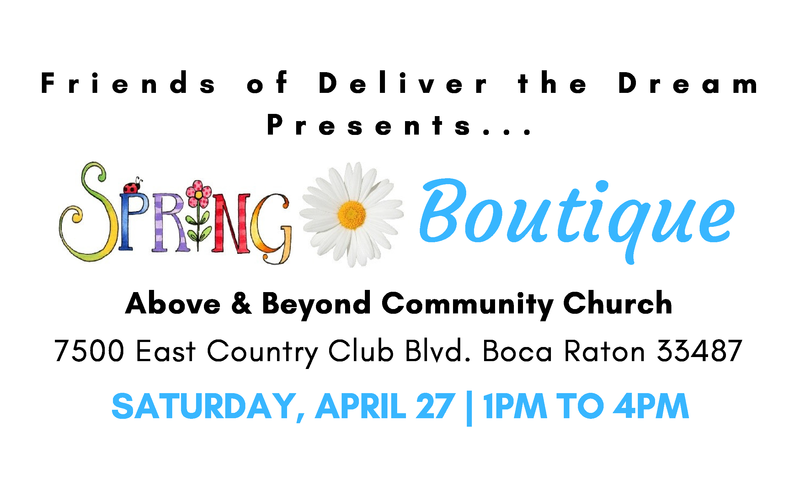 Support Deliver the Dream out in the South Florida community. Our partners host special Community Events to raise critical funds for our mission. Running, gaming, walking, fishing, golfing – there are always exciting local events to raise awareness and support for our families. Find a way to get involved today! Stop by to shop for Mother’s Day, birthdays or graduation gifts. Lovely jewelry for all tastes from Premier Designs by Susan, Wax to the Max, Scentsy by Kristine, and much more from popular South Florida vendors." During Fort Lauderdale’s 10 Days of Connection, join Arc Broward and Deliver the Dream for a special event dedicated to changing perspectives of how people with disabilities and other life challenges are viewed and included in the community.